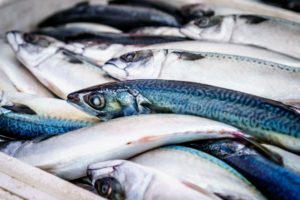 ﻿Food and Water Watch, a non-governmental organization and consumer rights group which focuses on corporate and government accountability relating to food, water, and fishing, has analyzed over 100 different fish and shellfish to create a helpful guide assessing both the human health and environmental impacts of eating certain seafood, and also the socio-economic impacts on coastal and fishing communities. The guide recommends safer, more sustainable options based on your personal tastes and priorities. The guide covers seafood from the Pacific, Atlantic, and Gulf regions. Read the full guide here. Why is it important to know the background of the fish you’re eating? Consumers need to know that many species are associated with contaminants such as PCB and mercury. In addition, an alarming number of species are being overfished to the point of near-extinction. Certain species will most certainly become extinct in the next decade unless drastic measures are taken immediately. Another consideration is the catch or farming method. What kind of equipment is used to catch the fish and does it cause habitat harm or are other species unintentionally and routinely killed in the process? It’s a lot to think about when all you want is to just enjoy your shrimp cocktail or planked whitefish. But think about it we must. See the full article and guide HERE.